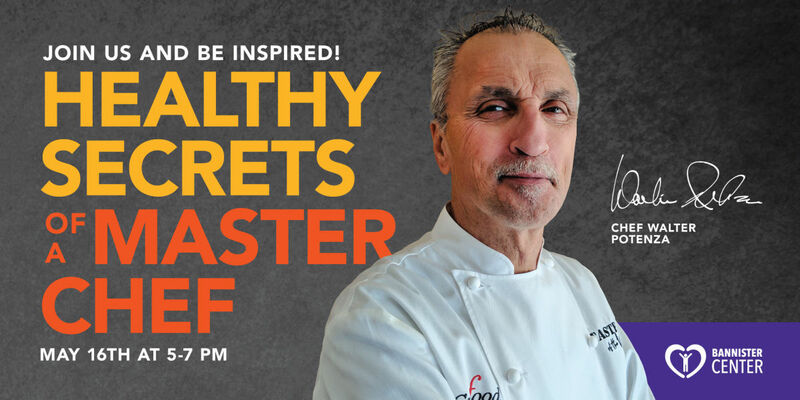 Join us for a gourmet cooking demo and be inspired by TV celebrity Chef Walter as he takes you along to create delicious dishes for a healthy lifestyle. The cooking class will take place on Thursday, May16th at 5-7 PM in the beautifully renovated Bannister Center. Come learn how to prepare some delicious, healthy food! Chef Walter’s creative approach to the culinary arts, his commitment to using only the finest, freshest ingredients, and the pride and passion he brings to his work make him a perfect partner for Bannister Center. Together, we’re cooking up a recipe for success, not only in our kitchen but in the entire rehab process for our residents—in which nutritious, delicious meals are an essential part. 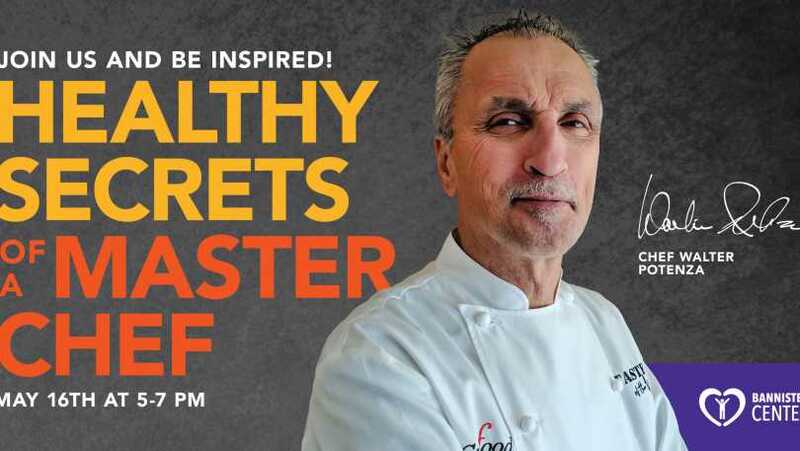 Bannister Center is proud to announce its partnership with Master Chef Walter Potenza of Chef Walter’s Cooking School to promote healthy eating and healthy living in Rhode Island.